Romance is in the air! 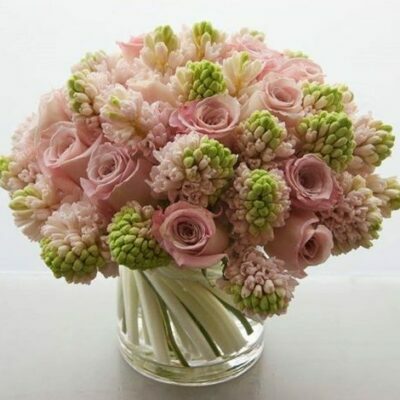 Give that special someone a gift that takes their breath away. 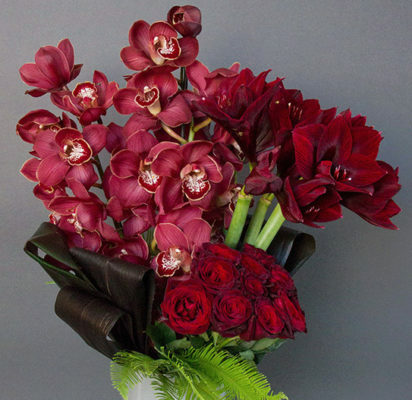 This gorgeous piece features a collection of dark red amaryllis, stunning red roses, and delicate cymbidium orchids complimented by tropical umbrella fern and black ti leaves.